Out in the middle of nowhere near the Mexican border is the most magnificent pile of white gypsum I’ve ever seen. 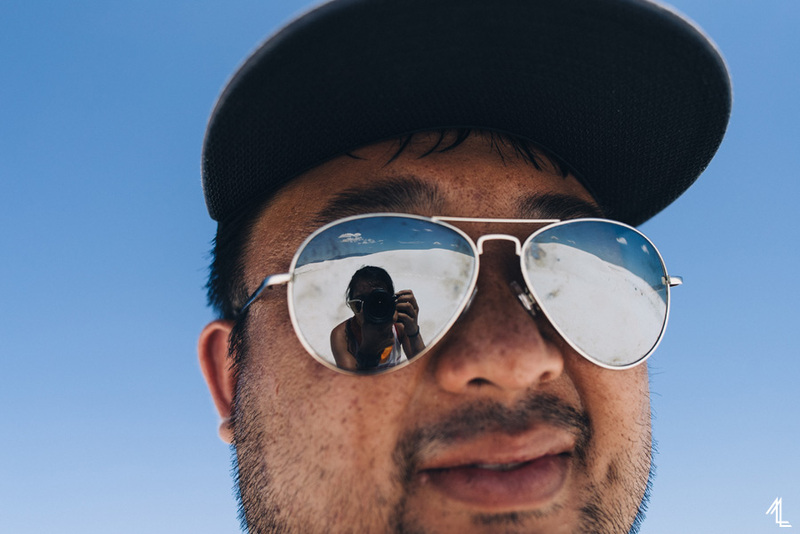 Next to Yosemite, White Sands National Monument is up there among my favorite places to visit in the States. It’s about a thousand miles of driving east from Southern California, but that expedition is spectacular in itself. My friend Jimmy and I left San Diego around 3am and drove through a watercolor of a sunrise. 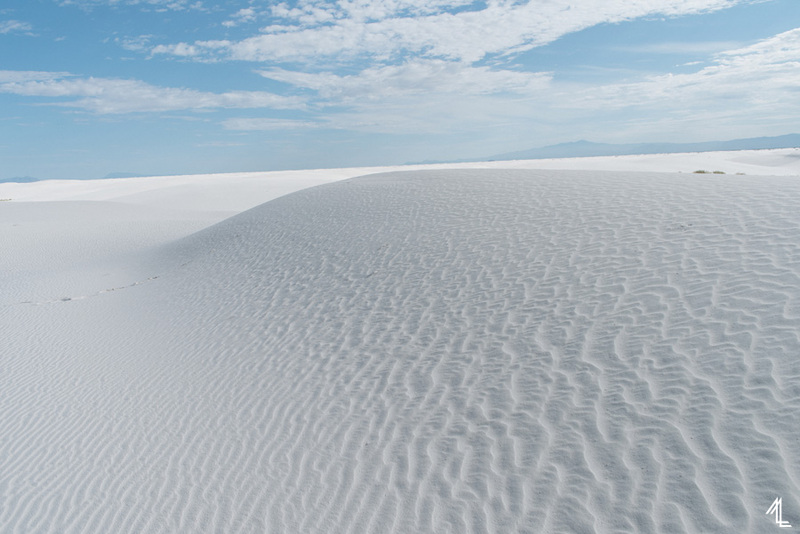 I’ve visited a few sand dunes before, but never something like white sands. 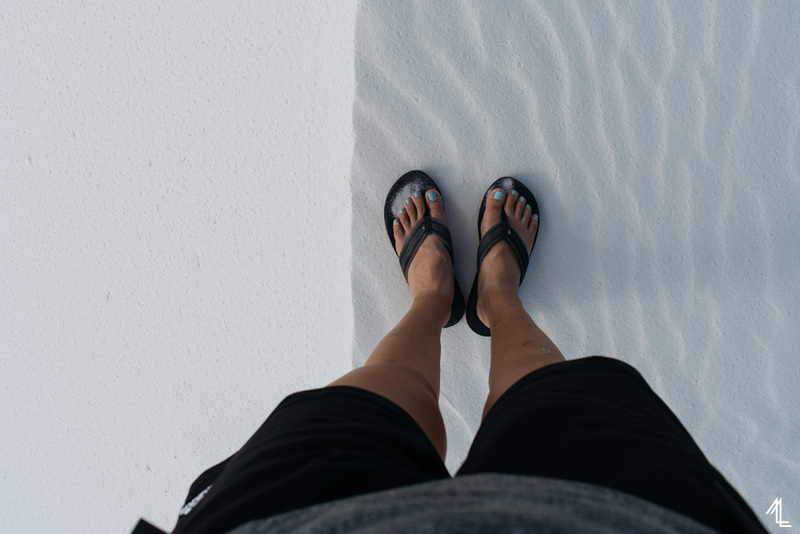 It consists of beautiful soft, white gypsum sand that you’re free to go sand sledding down, explore, and even go backpacking through. Jimmy and I have been wanting to venture through the monument for photos. Since the sand dunes are completely white they take on different hues throughout the day. Pure white in the middle of the day and pinkish purple when the sun is low. After going down highway 70 we turned left into the monument’s visitor center to pick up backpacking permits (they’re first come first serve) and then embarked on a the Alkali Flat Trail, the hottest hike we’ve ever done. 104°F hot. First stop after stopping by the visitor center was a five mile hike over the Alkali Flat Trail. Trail should be used loosely though. Its marked with orange-tipped signs sprinkled around the sand, which occasionally get buried from the windy weather. From the park visitor center you’ll drive eight miles out on a paved road that takes you to a parking lot and your last chance to use the outhouse. I should mentioned that when planning for this hike to bring water and sun protection. –Exactly two weeks after our trip a family of French tourist passed away from heat exhaustion and dehydration. Jimmy and I planning to spend a night backpack camping at the dunes. Conditions for astrophotography would be ideal since White Sands is located close to next to nowhere and it was the night of the new moon. Our timing for perfect! I’ve never captured so many colors and stars in a photo prior to visiting White Sand nor seen so many with my own eyes. Although the closest nearby city is Los Cruces which is 60 miles away it was still close enough for light pollution to leak through. Next articleWhat Do You Mean Justin Bieber?